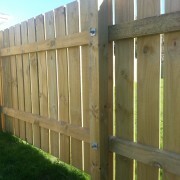 Kiwi Lumber produces a wide range of outdoor timber products ideal for landscapers, builders and DIY. The product range offered by Kiwi Lumber is well suited for the construction of decks, retaining walls, pergolas, and fences. Kiwi Lumber outdoor timber products are visually graded and CCA treated to various hazard classes depending on the intended use. Hazard classes include H3.2, H4 and H5 as requested. © Copyright 2014 Kiwi Lumber Holdings Ltd / Designed by GROW Ltd.